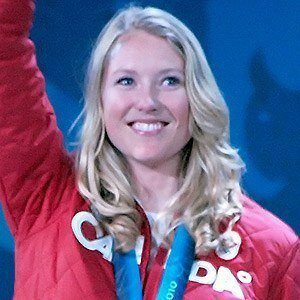 Canadian freestyle skier who won the gold medal in women's ski cross at the 2010 Winter Olympics. In 2012, she retired from ski cross following a knee injury. She began competing in 2003 and competed in four Winter X-Games, earning a silver in the 2010 Games. She has worked as an analyst of women's skiing for the CBC network in Canada. She married Jay DeMerit, Captain of the Vancouver Whitecaps, in 2013. American skier Bode Miller also competed at the 2010 Olympics and took home several medals.